Nominations Now Open for 2012 Abbot Kinney Festival "Spirit of Venice" Awards! - Yo! Venice! Home Abbot Kinney Blvd Nominations Now Open for 2012 Abbot Kinney Festival “Spirit of Venice” Awards! 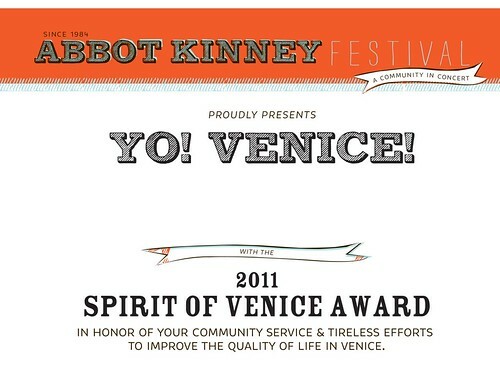 Nominations Now Open for 2012 Abbot Kinney Festival “Spirit of Venice” Awards!